A very distinctive Indian version of secularism has underpinned India since independence and is the critical guarantee in the continuing existence of its multi-cultural pluralist society. Were it to weaken then terrifying forces of communal violence are always at risk of breaking out. 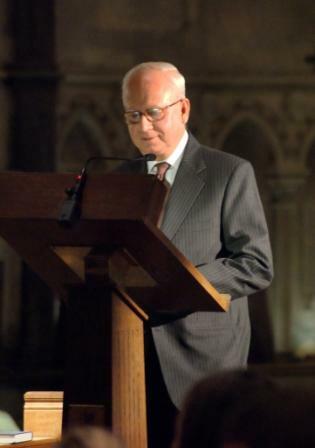 These thoughts are prompted by the Olympian lecture on this theme by Justice Aftan Alam, the 2009 Annual Gandhi lecture, The Idea of Secularism and the Supreme Court of India, delivered in the Temple Church of The Inner Temple, 14 October, and a short text by the Jawarharlal Nehru University historians, Aditya Mukherjee, Mridula Mookerjee and Sucheta Mahajan, RSS, School Texts and the Murder of Mahatma Gandhi (Sage: 2008). It is a theme I have myself looked at in the past, in a long article in Contemporary South Asia Volume 2 Number 1 1993, entitled Indian Secularism Reconsidered: from Gandhi to Ayodha, and as Editor of a collection of essays connecting Hindutva (Indianness or Hinduness) to the story of the religious reform movements, Hinduism in Public and Private (OUP India: 2003). I like to think that in those publications I raised the uncomfortable ambiguities of this debate though probably at the expense of clarity. There is a certain virtue in oversimplification. How do the lecture and the text by the JNU historians reopen the debate on Indian secularism? The event that put this issue at the centre of Indian politics was the truly shocking vandalism 6 December 1992 of the Babri Masjid mosque in Ayodha. As my article tracking this outrage was long in the making, (in fact I wrote my piece some months before the final outrage), and it has left uncomfortable questions about who was responsible. Justice Alam refers to a decision of the Supreme Court which validated the dismissal of the popularly elected governments of Rajasthan, Madya Pradesh and Himachal Pradesh for aiding and abetting the demolition of the mosque. The presidential decree has been seen as an attack on democracy. But on this occasion the Court was certain that the dictates of secularism justified their dismissal. Interestingly, it is only now that a commission on the event headed by Manmohan Singh Liberhan has published its findings and they are pretty explosive. For the first time the former prime-minister, Vajpayee, together with the other leading politician of the Bharatiya Janata Party (BJP), Advani, are seen as “culpable of taking the country to the brink of communal discord”. According to the report the demolition was “neither spontaneous nor unpreventable” and was the “zenith of a concerted and well laid out plan”. Responsibility ultimately lay with the Rashtriya Swayasevak Sangh (RSS), the ideological source of the Hindutva programme (See The Guardian 25 November 2009). How the current Congress government will now react is just as provocative a question as to how any future government here will react to the findings of the Chilcot Commission. Nehru as an agnostic was closer to a European version of secularism but he saw the vital importance of building into the constitution safeguards for the protection of religious minorities, a means of staunching the communal bloodshed that has stained India up to and during the partition. The whole debate on Indian secularism goes in two overlapping directions: there is the debate as to the nature of a secular nationalism and there is an ongoing tension between the protection of the personal laws of Indian religions and the search, one Nehru himself supported, for some personal code more in line with human rights worldwide. Secular nationalism was one solution to Indian pluralism. It both guaranteed multi-culturalism whilst guarding against separatism. Justice Alam wittily points out at the beginning of his lecture that there are six different ways of getting married in India. The JNU historians provide a lucid account of how a Congress secular nationalism differs from a Hindu nationalism though my instinct is that they do so by a degree of simplification and an avoidance of the inherent ambiguities in the Congress Party’s attitudes. I try in my introduction to Hinduism in Public and Private to point to an approach to nationalism of the likes of Lajpat Rai that converge with a Hindu, and Congress were of course right to deny membership of both Congress and the Hindu Mahasabha. The Congress Right continued to be a barrier to the rise of a distinctive party of Hindu nationalism. That only takes off in the late 1980s. We need to be reminded of that atmosphere of hatred towards Muslims that led to Gandhi’s assassination by followers of the RSS and it is chilling to learn that at a meeting in Bombay 19 November 1995 Gopal Godse, brother of Gandhi’s assassin, Nathuram Godse, still justified the murder in terms of ridding India of a “demon” and pre-empting the risk of a second partition with the breakaway of Hyderabad. The most intriguing section of the book by the JNU historians is on the way school textbooks are being doctored to promote a Hindutva version of Indian history. With the BJP in power at the centre their education minister, Manohar Joshi, set about fashioning a communalised version as opposed to a secular one and in 2002 there was a wholesale introduction of a new set of textbooks. Initially the one on contemporary India did not even mention Gandhi’s assassination though, after a public outcry, just a sentence was added. The India History Congress drew up a list of errors in the new textbooks. If it remains somewhat mysterious why self-proclaimed representatives of the Hindu majority should be so afraid of minority communities, the JNU historians make the good point that theirs is not so much a fear of ‘the other’ as a determination to mould Hindus to their own ideal of a correct way; they are even more hostile to liberal-minded Hindus than they are to Muslims. They also suggest it was their very isolation in 1948 that drove them out of desperation and cowardice to murder Gandhi. But is this necessarily a mono-culturalist agenda and by implication a Hindutva one? One of the hugely controversial decisions taken by the Supreme Court was in the Shah Bano case in 1986. Here I’ll quote my own account in my article. In 1976 one Shah Bano after 43 years of marriage to a prosperous lawyer was divorced in traditional Muslim fashion. She was to fight a case for maintenance all the way to the Supreme Court and win: in 1986 she was awarded Rs 500 a month. In the Islamic Shariat law, once the husband has returned the wife’s mehr, or dowry, responsibility for the wife’s maintenance falls on her family, so this decision was in clear breach of Muslim personal law. This was hailed as a victory for secularism and a feminist triumph to boot. Muslim women were now to enjoy the same rights as those of other religions under Indian personal law. Belatedly it looked as if the Constitution was going to fulfil its directive principle, Article 44, and introduce a uniform personal law. But Rajiv Gandhi’s government, alarmed at Muslim anger, lost its nerve and in the Muslim’s Women’s act was to reverse the decision of the Supreme Court. Here was a betrayal of secularism and of the equality of women before the law. Congress could once again be blamed for unscrupulous politics, its courting of Muslim conservative interests as a way of securing the Muslim vote-bank. Significantly, progressive Muslims now see the wisdom of abandoning Muslim personal law and an assimilationist approach to independent India. After all, theirs is a population largely born after 1947 and they know no other loyalty. Justice Alam is not hostile to the Supreme Court’s decision and points out that in a subsequent appeal against the new act the Court claimed nothing had in fact been lost: “it may look ironical that the enactment intended to reverse the decision in the Shah Bano’s case, actually codifies the very rationale contained therein.” What Justice Alam is looking for is a more culturally tolerant approach. In his interpretation of the Court’s new ruling, “it effectively held that the Act would be unconstitutional if interpreted to give Muslim women less than other own by way of maintenance” but did so in his view by “a different and more acceptable route”. Clearly Justice Alam sees the conflict between the possibilities of a universal code and the particular demands of community and argues that the Court “will have to find a middle ground between its two extreme positions, one where the right was held to be absolute and not subject to any reasonable restrictions even in public interest or national interest and the other where the right stands emasculated”. There is a danger, he recognises, of insulating minorities from the national mainstream and one has also to recognise that minorities anyway are divided and “that an over protection of the community specific rights was of little if hardly any use to weaker sections within the minority groups”. But minorities nevertheless remain fearful of being subsumed within the majority. And in the end Justice Alam comes down I think on the conservative side: “In India secularism cannot be seen or used as a means for doing away with all the differences of creed or caste and region and language and for developing a more homogenised society laying stress on ‘Indianness’. All this is of profound relevance to European states which are having to come to terms with Muslim minorities. Just recall the public uproar that greeted Archbishop Rowan Williams when he suggested that English courts would at least have to be aware of the claims of shariat law. The recent referendum in Switzerland over minarets points to the profound fears of European majority communities. In India it seems that the move for a more progressive personal code has been seriously distorted by the intrusion of the Hindutva campaign for a uniform personal code. Antony Copley is Honorary Senior Research Fellow at the University of Kent and a member of the Gandhi Foundation’s Executive Committee.